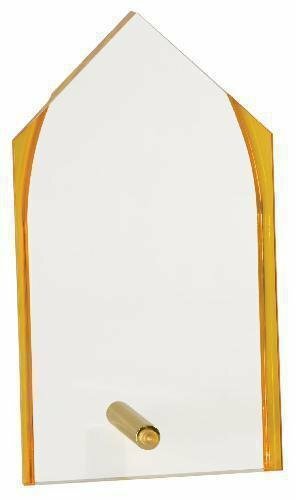 Our Gold and Silver Mirror Acrylic Awards collection has a wide variety and selection of designs and shapes. These have mirror accented bottoms that reflect the color through the acrylic. Truly a remarkable selection of acrylic awards you simply cannot find anywhere else.